It is important to keep your baby safe while sleeping. We’ve outlined some safe sleep resources below, including simple guidelines to help you create a safe sleep environment for your baby. Additionally, our agency supports two safe sleep initiatives that are available to Alabama parents: Cribs for Kids and Baby Box. 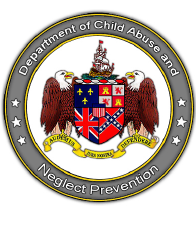 The agency served a vital role in the passage and implementation of Erin’s Law in Alabama, which provides students, school personnel and parents with skills to reduce vulnerability and encourage them to report the suspected sexual abuse. Erin’s Law mandates that school personnel complete Mandatory Reporter training annually. Strengthening Families™ is a research-based, cost-effective strategy to increase family stability, enhance child development and reduce child abuse and neglect. The five protective factors are the foundation of Strengthening Families™ and have been shown to make positive outcomes more likely for young children and their families, and to reduce the likelihood of child abuse and neglect. 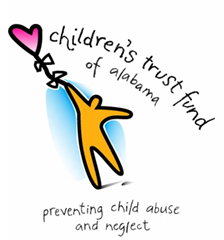 As the state chapter of Prevent Child Abuse America, a member of the National Alliance of Children’s Trust & Prevention Funds, and the state lead agency in CBCAP, we are dedicated to promoting resources and services that prevent all types of child abuse and neglect and improve overall child well-being in our state.